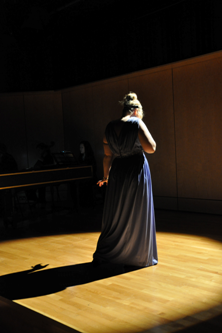 Based at City University London, City Opera Ensemble aims to provide students with comprehensive, theoretical and practical training in all aspects of operatic performance. It was founded in 2011 by Dionysios Kyropoulos and it is currently run by Hettie Hobbs and Kenton Brigden. City University London is equipped with world-class performing facilities at the heart of the capital, as well as an abundance of talent within the student body. COE aims to combine all this potential and provide students from diverse disciplines and departments the opportunity to fulfil their potential by performing at a high level in front of an audience.